An oil and graphite painting of a scene from the To Sir, With Love film (1967) by Jerry Allen via Wikimedia Commons. Edward Ricardo Braithwaite, the Guyana-born author of To Sir, With Love, died this month at the age of 104 at is home in Maryland. 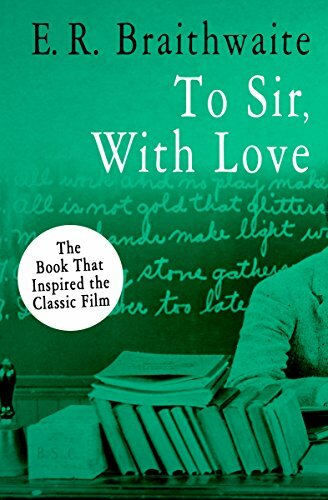 Published in 1959, the novel is based on notes of his experiences as a teacher that he planned to burn before a friend suggested he develop a narrative around them. It was adapted into a film starring Sidney Poitier in 1967, which the author criticized for downplaying the interracial romance in the book. After a year and a half of unemployment, Braithwaite decided to try teaching and is posted to one of the worst schools in London’s East End -- and even there was confronted by the specter of racism. More than half a century after the book was published, Braithwaite, who left teaching for social work and diplomacy, noted his disappointment at how little had changed for students of color since his time at head of a classroom.